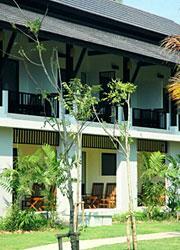 The resort is located only 100 m. from the white sandy beach and clear waters of Andaman Sea. 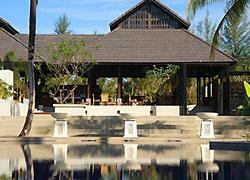 It is beautifully designed in a combination of Applied Thai Style with Local Thai Architecture. 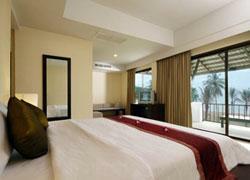 The resort is just only breath-holding distances from town and attraction areas. 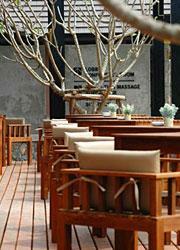 Takuapa, a degraded province to a district, is 20 km to the north, where all the necessary facilities await your visit i.e. fresh markets, shopping outlets and restaurants, where the night spot is toward down south on Khaolak that you can indulge yourself in dinning, entertainment and shopping. 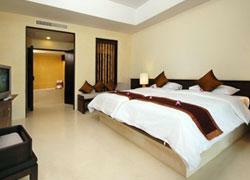 The resort is within a short distance to various tourist destinations and attractions, e.g. National Parks and Waterfalls in Phang-nga, Thap Lamu, the main pier for boats to Similan Island and Surin Island (the Marine National Park), which are one of the world's most reputable and protected diving destinations in Thailand. Golf Courses are just half an hour away in Thap Lamu and Thai Muang district and approximately 1 hour away from Phuket International Airport. 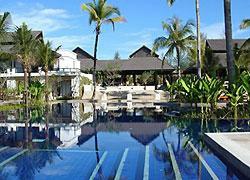 Swimming Pool & Kid Pool - Resort facilities include a swimming pool size = 400m2 by maximum depth point at 150 cm and 50 cm for kid pool with 4 bed jacuzzi and u-shape chair jacuzzi. 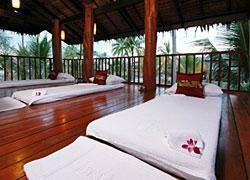 Sauna & Thai Massage - In open-aired and pool view style building we served you Thai massage and Sauna Service. Embraced in contemporary Thai architecture each of the resort's 74 guest rooms and suites overlook the ocean, lagoons or gardens. 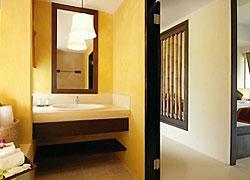 All guest rooms and suites offer elegant contemporary design with colorful Thai fabrics and primitive artworks. 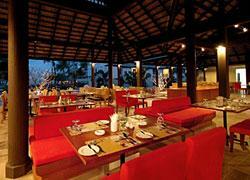 The private balcony also offers the opportunity to dine or simply relax. Satellite Channel and Movie TV.